H7N9 bird flu strain has evolved into a more severe form in China with, 460 human infections of which nearly 50% have died. 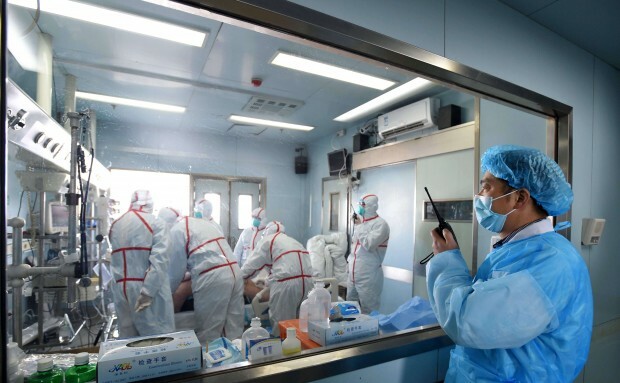 Medical experts have called for a swift investigation into the possibility that a mutation of the H7N9 bird flu virus in China was becoming resistant to a drug commonly used to treat infected people. A surge in human infections of deadly bird flu in China is prompting increasing concern among health officials around the world. While the human risk of these outbreaks is low at the moment, experts are calling for constant monitoring because of the large increase in cases this season, and because there are worrisome changes in the virus. U.S. officials say of all emerging influenza viruses, this particular virus poses the greatest risk of a pandemic threat if it evolves to spread readily from human to human, according to a report released Friday. During March 2013–February 24, 2017, annual epidemics of avian influenza A(H7N9) in China resulted in 1,258 avian influenza A(H7N9) virus infections in humans being reported to the World Health Organization (WHO) by the National Health and Family Planning Commission of China and other regional sources. During the first four epidemics, 88% of patients developed pneumonia, 68% were admitted to an intensive care unit, and 41% died. Candidate vaccine viruses (CVVs) were developed, and vaccine was manufactured based on representative viruses detected after the emergence of a (H7N9) virus in humans in 2013. During the ongoing fifth epidemic (beginning October 1, 2016), 460 human infections with A(H7N9) virus have been reported, including 453 in mainland China, six associated with travel to mainland China from Hong Kong (four cases), Macao (one) and Taiwan (one), and one in an asymptomatic poultry worker in Macao. Although the clinical characteristics and risk factors for human infections do not appear to have changed, the reported human infections during the fifth epidemic represent a significant increase compared with the first four epidemics, which resulted in 135 (first epidemic), 320 (second), 226 (third), and 119 (fourth epidemic) human infections. Most human infections continue to result in severe respiratory illness and have been associated with poultry exposure. Although some limited human-to-human spread continues to be identified, no sustained human-to-human A (H7N9) transmission has been observed.